I actually finished this game around two weeks ago, but I’ve been so busy I couldn’t even capture screenshots, let alone write it up, until now. It released officially on March 5th. It’s barely fifteen seconds after you select “New Game” in the new Tomb Raider that our heroine Lara Croft receives her first injury. After fifteen minutes she’s been burned, impaled through the side and has had disagreements with countless hard, jagged surfaces. An hour in, it’s a wonder she’s still alive. But she is, and this is the important thing, because Square Enix and Crystal Dynamics have re-imagined the decades-old gaming icon as a desperate survivalist in a much grittier setting than the old version ever had to contend with. This is Lara Croft as we’ve never seen her before. She’s a bit more, shall we say, anatomically correct this time around. She’s also younger, straight out of university and onto a ship headed for a mysterious island within the “Dragon’s Triangle”, which is like the Bermuda Triangle but somehow worse. Things go predictably wrong pretty quickly, Lara get separated from her expedition party and she wakes up in a situation straight out of anyone’s nightmare. She uses a combination of desperation and ingenuity to get out of it and from that point you can guess what kind of game you’re going to get. Unlike previous Tomb Raider games, the number one priority that drives gameplay in this new title is survival. 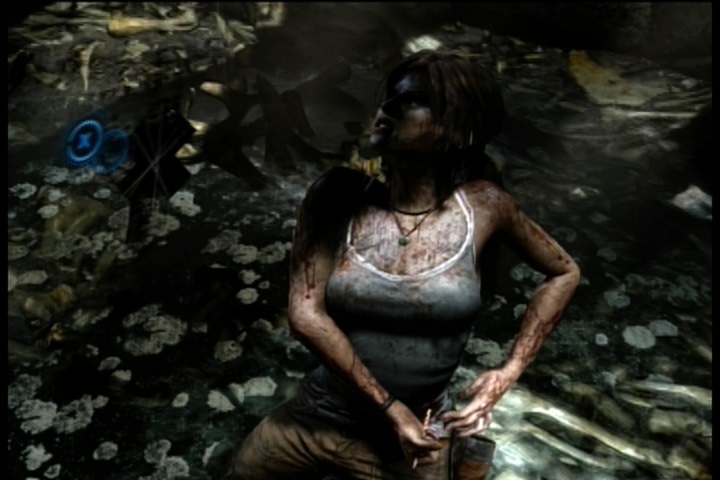 Lara is forced to adapt quickly to her unfamiliar environment, often in some pretty violent ways, in order to stay alive. Watching any of the game’s trailers will show that the game’s set pieces are inspired pretty heavily by the Uncharted games on PS3, but that doesn’t affect any of their impact. There are explosions, falling platforms and a burning building. There are quick time events, most of them packing unique and gruesome failure animations that result in a guaranteed dead heroine. There are harrowing climbing segments featuring less than ideal stability. And all of these are exciting. Like most action games these days, Tomb Raider features an upgrade system, and there is absolutely nothing wrong with Crystal Dynamics’ interpretation of the trend. You assign skill points to upgrading Lara’s various abilities, which are tiered in such a way as to make you feel like she really is growing and adapting to fit her circumstances. You also upgrade her weapons and equipment in a way that feels natural, using scrap from all over the island to reinforce grips, streamline firing mechanisms and ramp up durability. All upgrades show up on your character model and none of them seem too artificial. 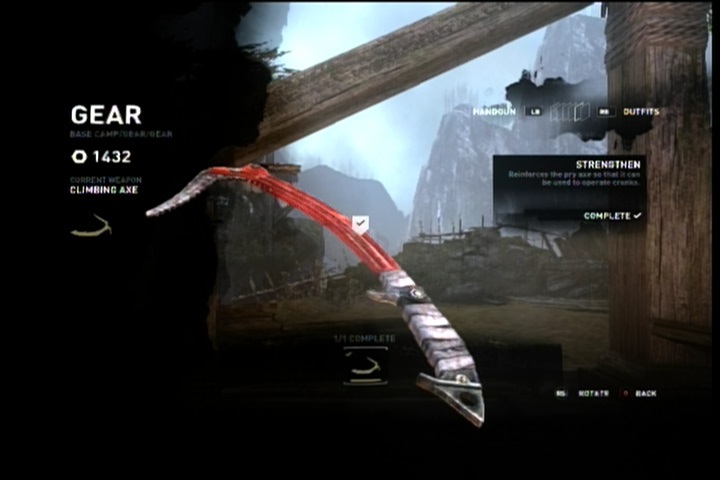 Despite Lara’s steadily growing arsenal of weapons, I tended to stick with the bow wherever it was practical, because the feel of landing a stealthy, successful shot with it is damn awesome. You’d be surprised at how useful this thing can be. You’ll get plenty of opportunities to use Lara’s weapons in battle during the course of Tomb Raider, but it’s in this area of gameplay that I found things to be the least consistent during my playthrough. There are indeed moments when the combat mechanics soar, mostly when stealth is required or where a large range of movement is allowed, but there are just too many occasions when the game throws waves and waves of fully aware enemies at you, throwing irritatingly accurate Molotov cocktails that swerve in the air just to reach you behind cover when you’re already trying to recover from gunfire. You’re basically forced to use generic assault rifles and the like in such scenarios. Melee combat is pretty shallow as well, so the longer these segments go on the duller they feel. These blatant instances of padding were the only times when I felt like putting down my controller and walking away from the game. Luckily I didn’t. There’s no denying that Tomb Raider is a very pretty game. I played it on console and so missed out on those awesome PC-only visual effects, but certain scenes still absolutely shine. There are some lighting tricks at work in the forest locales in particular that really make the visuals pop. The gungy atmosphere of the beach area is also a winner. Character models and animations are very solid wherever you’ll actually be looking at them. You’ll also find that the game’s quick time event sequences appear very polished indeed. Tomb Raider‘s narrative is frequently engaging. Lara’s guilt at leading her colleagues into trouble is constantly bubbling beneath the must-survive-at-all-costs surface mentality of Camilla Luddington’s motion capture performance. A lot has already been made online of the jarring transition from skin-of-the-teeth survivor to regular killer that Lara goes through and I have to say that I agree with the consensus; it isn’t handled particularly well. 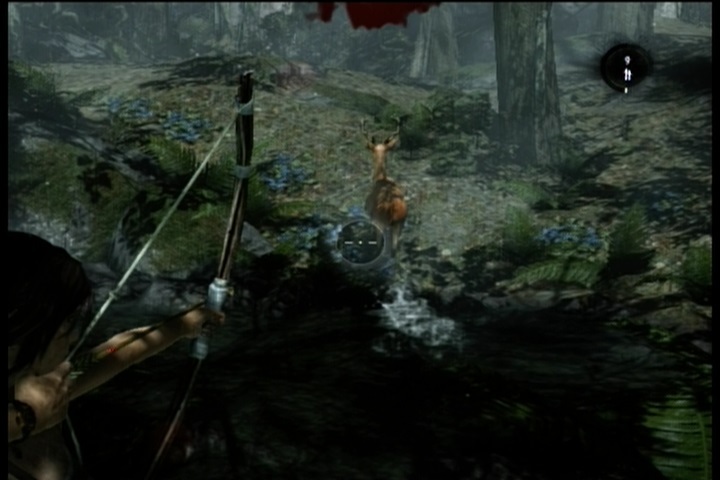 However, at least it isn’t ignored – Lara’s first kill is definitely marked with a moment of despair that you won’t get in the likes of Uncharted. There is a sense of urgency in the atmosphere that forces both the protagonist and the player to move beyond the issue, though, so it isn’t as big of a problem as you might think. The rest of the story can quite easily be described as a triumphant example of characterisation, a near-masterclass in how to rebuild a gaming legend. Aside from that one killing thing early on, every other important beat along the way feels natural and really sells the necessarily rapid development of a naive college student into a hyper-resourceful, and frankly quite intimidating, truth seeker. Lara Croft feels more real than ever, even if some of those jumps she makes during the game don’t. 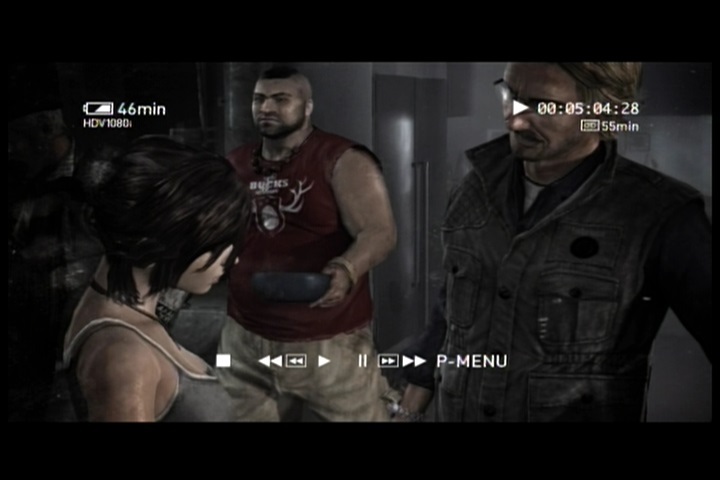 The game’s score, composed by Jason Graves of Dead Space fame, complements the moments of action and panic marking Lara’s journey without ever overshadowing any of it. It ably assists the atmosphere and this gives it a big pass in my book. Alongside the music is a cavalcade of explosive sound effects, that, while certainly not on the level of Halo 4, for instance, sound quite good through a headset. Voice acting is similarly decent on the whole, though some performances are better than others (I’m not sure if the otherwise likeable Jonah character is meant to be a Kiwi, but he sure doesn’t sound like one). The main players in the story are given the meatiest lines and they do stand out the most, which is always a good thing. The voice acting gets the job done. 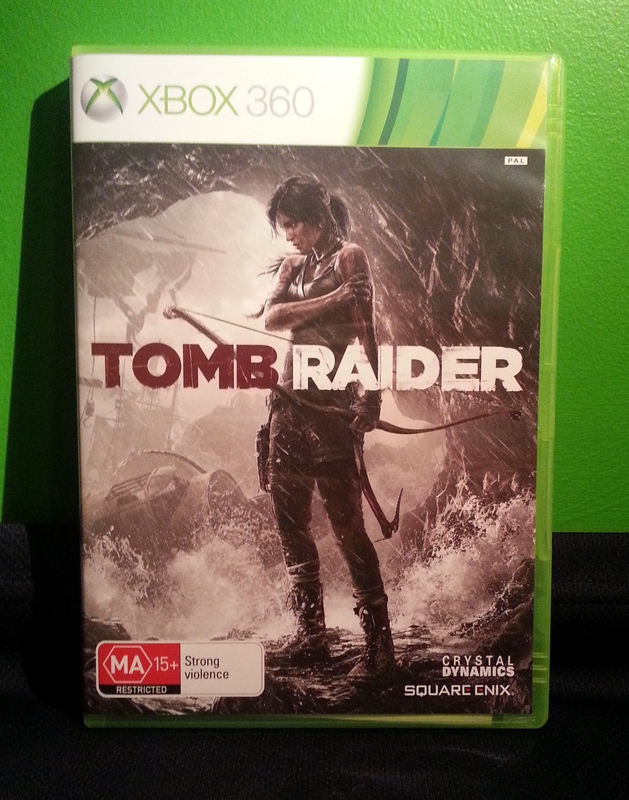 Pre-release, the grisly manner of Lara Croft’s reinvention was the main focus of Tomb Raider promotions, so the sheer lastability of the game beyond the 12 hour plot’s completion came as a very pleasant surprise to me. 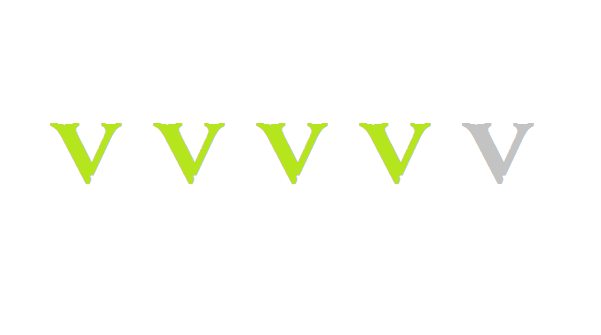 As you play through the story you will find yourself returning to areas you have already been, but these areas will open up to you more and more as you obtain newer and better gear. This will allow you to reach all manner of collectibles and a handful of hidden “tombs”. It’s a very welcome Metroidvania touch that changes the complexion of the game into something quite apart from the likes of Uncharted. The game’s fast travel system, combined with the compact design of the island’s explorable areas, mean very little of your exploring time is wasted running from place to place. What’s more, those optional tombs contain some of the most deviously clever puzzles I’ve seen outside of a Zelda or Portal game. None of them feel cheap, they don’t repeat themselves and working them out is immensely satisfying. Brilliant stuff. There’s quite a lot to see and do if you want to 100% the game. 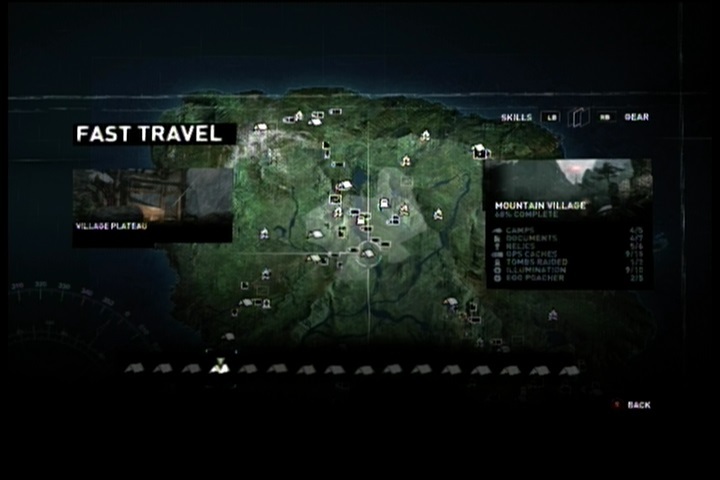 Tomb Raider also features a number of multiplayer modes, most of which are objective-based. You simply pick from a wide selection of characters and jump into one of these game modes across a variety of maps. Unfortunately, these modes are usually fairly unbalanced and the upgrade system, which attempts to emulate the Call of Duty model in a third person context, doesn’t do anything particularly exciting. In the few matches I played I also came across a handful of glitches, getting stuck in terrain and the like, which while not game-breaking certainly didn’t help my opinion on the rather bland experience. Multiplayer isn’t exactly bad, but it doesn’t add anything of note to the game, isn’t particularly fun to play and could quite conceivably have been left out altogether. At least you get to play as Jonah in multiplayer.